back to work. couldn't afford retirement! Shane, born 1969,Manager of Networking at Microsoft; Beth, born 1971, DBA for Washington Dept of Health More…program, Shadd, born 1972, Self-employed master of all things mechanical and boat-related. I also have three grandchldren and two Great-grandkids - my life is rich. Retired from retirement! I'm moving from Hawaii back into the workforce- this time I'm working in Taylor, Texas at ERCOT, as a Sr. IT Strategic Architect. Keeping the Texas grid safe and operational is heavy stuff - I love it! And I've discovered that - Sigh. I can't afford retirement yet! I live in Corpus Christi on my boat and the long-term plan is to sail to Jamaica next November..
can't think of any; i wasn't there that much! hated school, left texas and didn't look back for over 20 years. Went to the 50th reunion and had a wonderful time seeing the folks I remembered - a great time! Pat Fleming Harris updated her profile. View. Pat Fleming Harris has a birthday today. Pat Fleming Harris posted a message. Hi, Richard. I noticed you signed up -- glad you did! Pat Fleming Harris changed her profile picture. Pat Fleming Harris has a birthday today. New comment added. Hey Rod - so happy to hear you'Re back up and around. Just shows ya can't keep a good man down Fer long! Pat Fleming Harris has left an In Memory comment for Cy Baird. I remember Cy from Velasco Elementary. He was the shortest guy in the class and a clown, and I had a huge crush on him because he was so funny and a bit of a rebel at times. I also remember going outside one day for recess, playing in a big grass field full of clover, and I stepped on a honey bee and got stung on the botom of my foot. Cy rushed over to be helpful and showed me how to pull the stinger out, he was such a caring person. Thanks, Cy, for happy memories! Pat Fleming Harris added a comment on her Profile. Pat Fleming Harris changed her "Now" picture. 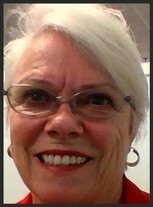 Pat Fleming Harris joined via Class Connection Facebook app.